Achacha (pronounced ah-cha cha), the Aussie name for achachairú (Garcinia humilis selecto) have been savoured for centuries in the Amazon Basin of Bolivia and are now being grown in North Queensland. With its name translating as ‘honey kiss’ egg shaped achachas are a cousin to the mangosteen, boast a vibrant orange hued skin, creamy flesh and zingy clean sorbet-like flavour and usually contain one (sometimes more) large brown seed. The trees produce their first crop at around seven years, have a lifespan of at least thirty years and it is estimated that each mature tree will produce about 3,000 fruit. 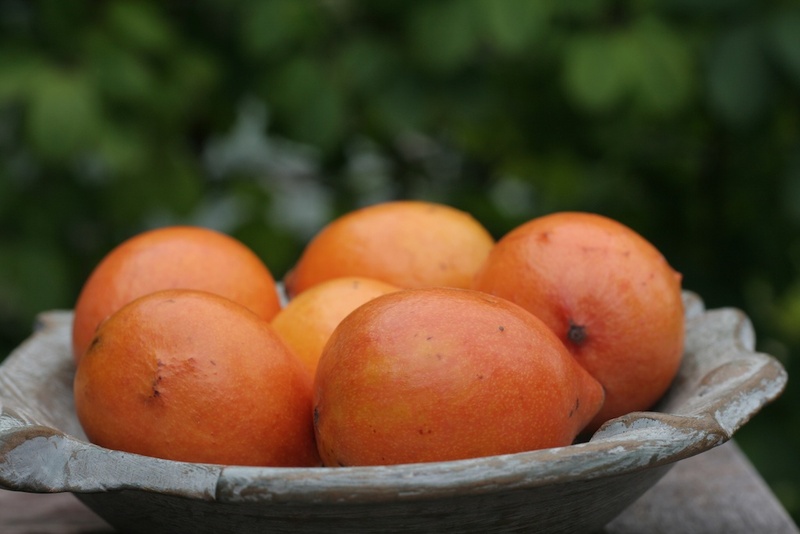 The ripe fruit is harvested by hand from December to mid March and are non-climacteric – i.e. they won’t ripen further after being harvested. 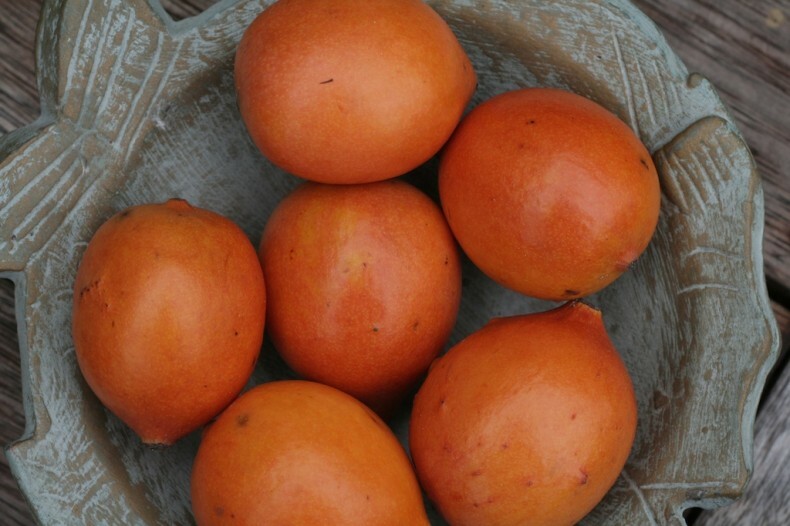 Achachas are a rich source of essential nutrients such as potassium and vitamin C, but they’re also one of the highest fruit sources of folate essential for healthy blood and cells and particularly important in pregnant women. Achachas are also lighter in sugar than many other fruits while still having a subtle sweet taste so are not sticky to the touch and make a perfect snack or lunch box inclusion. Best stored at 10 to 25ºC room temperature achachas are easy to peel, just make an indent in the centre of the skin with your thumbnail then squeeze and it simply pops open. Achachas will last for weeks if kept within the temperature range suggested, in a closed container so the skin doesn’t dry out. This versatile fruit can also be frozen in their skins then thawed for 15-20 minutes and eaten as a palate cleanser or natural sorbet dessert – if peeled and frozen they make an interesting addition to champagne or other sparkling drinks. Fruits in the Garcinia genus contain a natural substance hydroxycitrate in their skins. Studies have shown hydroxycitrate has unique properties that may help people who are looking to maintain a healthy body weight, when included as a part of a kilojoule-controlled eating plan. In Bolivia the refreshing thirst-quenching drink made from the skins is traditionally used as an appetite suppressant. Just wash and remove the skin of 6 fruit, blend it, add 1lt water and leave in the fridge overnight or for a few days for a stronger flavour. Strain and use similarly to cordial with water and sugar or honey to taste.